Jason M. Hough's pulse-pounding debut combines the drama, swagger, and vivid characters of Joss Whedon's Firefly with the talent of sci-fi author John Scalzi. In the mid-23rd century, Darwin, Australia, stands as the last human city on Earth. The world has succumbed to an alien plague, with most of the population transformed into mindless, savage creatures. 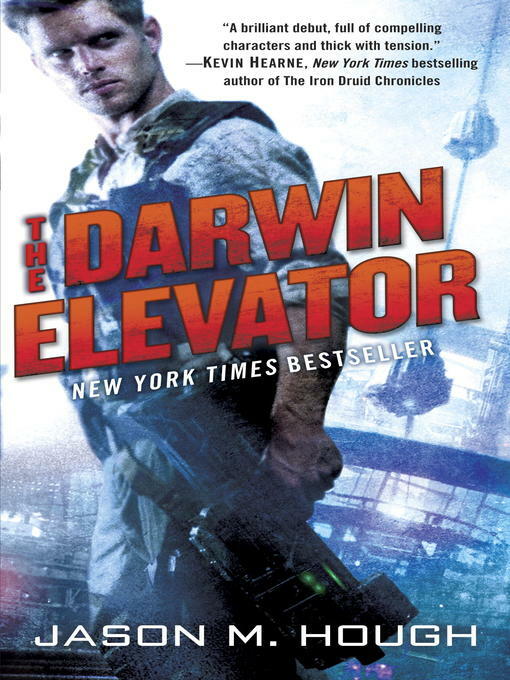 The planet's refugees flock to Darwin, where a space elevator—created by the architects of this apocalypse, the Builders—emits a plague-suppressing aura. Skyler Luiken has a rare immunity to the plague. Backed by an international crew of fellow "immunes," he leads missions into the dangerous wasteland beyond the aura's edge to find the resources Darwin needs to stave off collapse. But when the Elevator starts to malfunction, Skyler is tapped—along with the brilliant scientist, Dr. Tania Sharma—to solve the mystery of the failing alien technology and save the ragged remnants of humanity.